E.E. 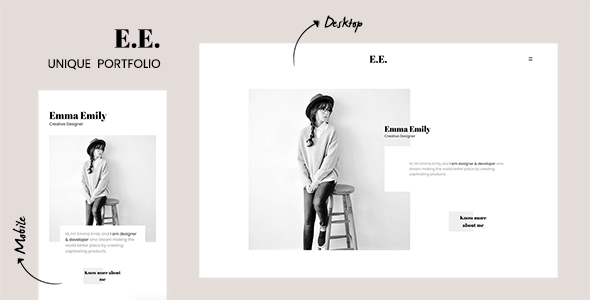 is a unique portfolio HTML template, carefully crafted to showcase your very best work. E.E. is a unique portfolio template designed for a freelancer, creative designer, photographer who wants to display their portfolio. Looking good on any desktop or mobile device. E.E. is flexible, easy to manage and customize.